Facebook has launched what the social networking website had been blatantly lacking until now — a natural language search engine. 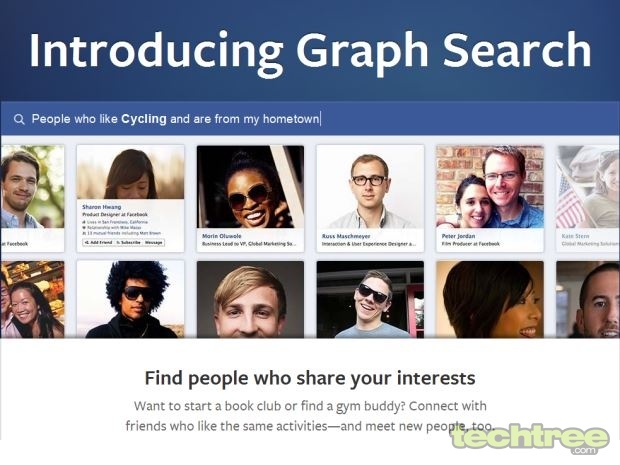 Known as Graph Search, it is currently available only in the limited beta for English (US) audiences and is being offered for trial to users who sign up, on a random basis. This feature lets you type in natural language phrases to search for results that ordinarily do not show up. You can even add to the search phrase to make it more specific in order to zero in on the intended results. An example is "photos of my friends in Mumbai", "people who like cycling and are from my hometown", and "cities visited by my friends this month". In essence, this is following an algorithm that is similar to what is being used by search giant Google, although the search is limited to things on Facebook. One of the distinct advantages of this new search feature is that you can actually discover things that would have shown up in your newsfeed, but got quickly pushed down by other updates. Basically, it allows you to find information that was always there. It is a convenient way to discover new places, new interests, and people with similar interests, among other things, which would otherwise have been time comsuming and diffcult, if not impossible. Once Facebook accepts your request and opens up the beta feature to you, the search bar at the top can be used for Graph Search with search results displayed below in a visual manner.